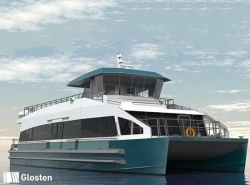 Glosten, a Seattle-based naval architecture and marine engineering consultancy, has announced the completion of a 150-passenger-only hybrid ferry design for Kitsap Transit, a public transportation agency based in Bremerton, Washington. This new hybrid passenger ferry is the first in Puget Sound, a sound along the northwestern coast of the US state of Washington, and will be constructed at Bellingham-based All American Marine. It is expected to carry over 350,000 passengers annually.